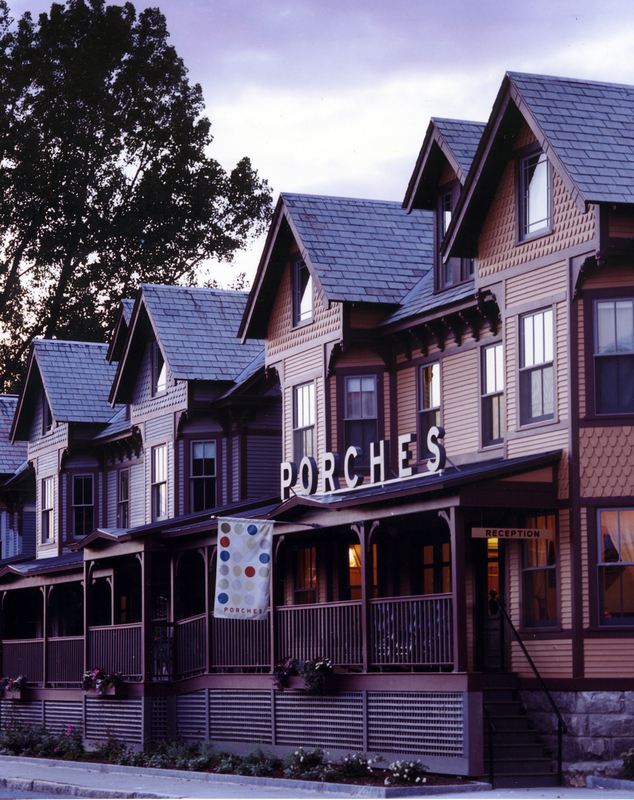 Directly across the street from Mass MoCA, the largest contemporary art museum in the country, the Porches Inn was designed from a row of handsome but dilapidated 19th century workers’ houses. We avoided new interior connectors, and linked them instead with long exterior porches. The north-facing light wells were enclosed, giving us an inside-outside feeling in this now interior circulation space.